Brian Love is a professional landscape and travel photographer based between Scottsdale, Arizona and Lake Tahoe, Nevada. While Brian is located in the American West, he does not limit his work to those regions. Brian is an avid traveler and continues to search out new places and opportunities to shoot. Coming from a long line of family entertainers, athletes and artists, Brian developed a passion for the arts early on in life - specifically photography and music. Brian is the son of Mike Love, lead singer of the 1960's musical group, The Beach Boys and cousin to Kevin Love, all-star basketball player for the Cleveland Cavaliers. Brian's upbringing was far from normal, often traveling for months on end without visiting home. This is where his passion for seeing the World first began. Still to this day, it sometimes feels more normal to be living out of a suitcase than a home. Brian was brought up surrounded by photography enthusiasts, including his grandfather, uncle and two aunts that imparted their passion upon him at an early age. 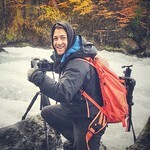 Those experiences stuck with him through his adolescence and growing up in scenic Lake Tahoe was a perfect hub to expand his passion for photography with destinations such as Yosemite and Sequoia National Parks in reach. As a serial entrepreneur in his daily life, Brian began his first photography based business partnership as a High School kid shooting High School senior portraits as a service to local parents. The craft transitioned from human subjects to landscapes over the years, however Brian took a sizable break from photography as he attended college in Colorado. Just a short time after graduation, he relocated to Arizona to help launch and work for a digital media and marketing startup. That company would later go public. With that chapter now closed, Brian's recent business endeavors have allowed him the freedom to travel and expand his photographic talents across the globe. Brian welcomes licensing opportunities for his work as well as bespoke fine art prints for the home or office. Brian's art has made it into the homes of many high profile clients and celebrities and he is currently pursuing select partnerships with interior designers and local businesses. If you are a business or decorator in need of art, do not hesitate to reach out for special rates and product bundles. Hopes for the future also include a gallery initiative and exhibiting at various arts festivals in the coming year. Shooting destinations for 2018 include Patagonia, Lofoten Islands in Norway, Iceland, Canadian Rockies and the Pacific Northwest. Contact Brian directly with inquiries or to discuss the art at blove8688@icloud.com.